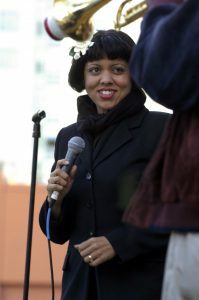 Kim Nalley performing at the Fillmore Jazz Festival. Being a musician is kind of like being a foodie. If you grew up poor, you’re really excited just to have food. Then, after you get accustomed to having food and are exposed to good food, you want something better. You eat at great restaurants and become able to distinguish the different components and learn which wines are best paired with each. Your palate is ruined for fast food. You seek better food experiences and make better food at home. But every once in a while you get misty-eyed for mom’s mac and cheese, made with government cheese, because it tastes like home. Mr. Provo loved the ballad. His son Chris called on a Thursday morning and offered me a weekly gig — if I could put together a band and play that night. I had to stiff the owner of the house I was supposed to clean, but I did get that every-Thursday gig. They paid me $400 a night, and my rent was only $250 a month. I could hire A-list musicians who were much older than me to be my accompanists. I thought Harry’s Bar was the center of the universe and I felt really important at age 18 having a regular gig on Fillmore. But soon I wanted more. I wanted to play the Fillmore Jazz Festival. 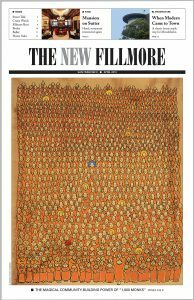 One year I was hired by Eddie Petrillo to play during the festival at the Fillmore Grill, the once and future Alta Plaza restaurant at 2301 Fillmore now occupied by Mehfil Indian restaurant. Every place on Fillmore Street had music that weekend. I remember watching Kitty Margolis sing on the California Street stage during my break, wishing I were important enough to be up there on that stage. Kim Nalley on Fillmore in 2003. 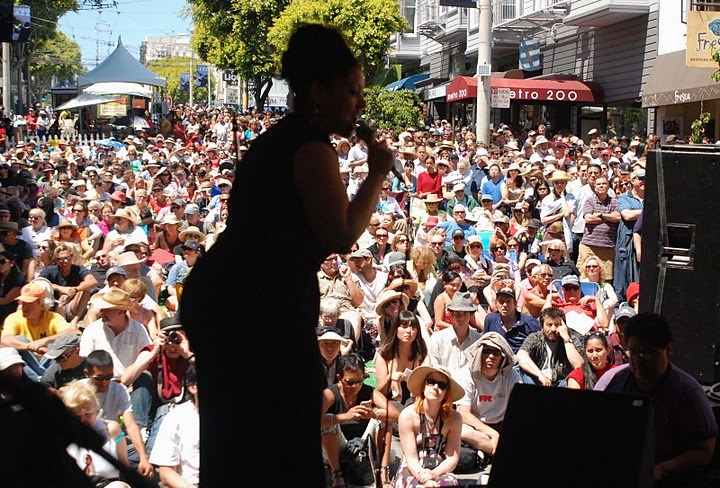 Since those early days, I have done many themed concerts at the Fillmore Jazz Festival, including one celebrating Duke Ellington and another singing the music of the great Fillmore legend Etta James. This year I’ll be doing a tribute to a vocalist who died last March at the age of 87. So many legendary musicians have died recently that some of the lesser-known artists such as Ernestine Anderson have gotten lost in the shuffle. I do love Prince. But Ernestine more directly affected my singing style. My great-grandmother played piano, and her favorite pianist was Monty Alexander. He played often with Ernestine Anderson, and I grew up listening to her, along with Nina Simone and Nancy Wilson. I wish I still had those albums, because many have not been released digitally. One of the few available is Ernestine playing with saxophonist Houston Person, who played with me at the 2014 Fillmore festival. Ernestine swings like a freight train and is as laid-back as honey dripping from a jar on a cold morning. Everything she sang had so much soul and grease. I mean grease in a good way. Greasy is bluesy and in the pocket. It is the guttural cry of a sax that mimics the growl of the moaning human voice. Music with grease is smooth and dirty in a positive sense. Grease moisturizes the roots of our hair. It removes ashy flakes so the skin can shine, dark and glistening. Grease is an important element of black aesthetics, and Ernestine Anderson’s music personifies the black aesthetic of jazz vocal excellence. I had the good fortune to see her perform many times. 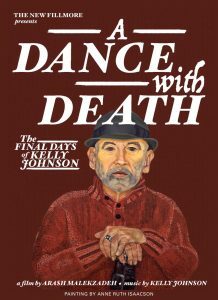 With the help of Sonny Buxton, she performed at Jazz at Pearl’s in North Beach when I owned the club. My band has played with her. My bassist, Michael Zisman, played with her a lot, touring throughout Europe. This year, I have also invited vocalist Denise Perrier to join me for several tunes. Denise was friends with Ernestine Anderson. If you search on YouTube you will find some amazing videos of them singing together. This is the first time we are doing this concert, but it is in many ways just going back home — to the music I grew up with, and to the Fillmore, where I got my start. 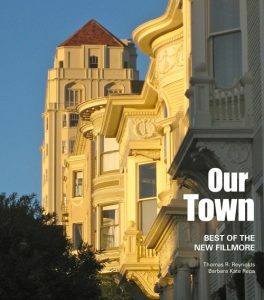 Fillmore is where I shop, got married, send my kid to school and get my hair done. I have played throughout the world — Jazz at Lincoln Center, Monterey Jazz, Umbria Jazz — but Fillmore is my home. It is where I come back to nourish my roots.